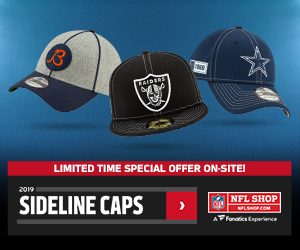 This season-long weekly series at Gridiron Experts will focus on providing you strategies on how to dominate ThriveFantasy’s Traditional NFL Featured Contests. 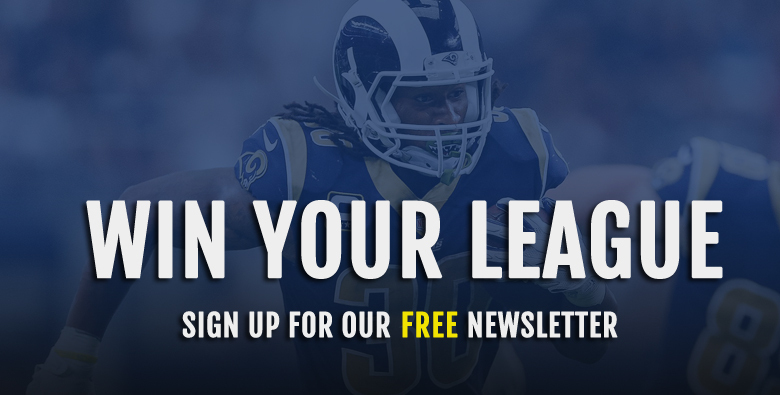 The traditional contests allow you to select a player’s individual stat line or a combination of stat lines to win a predetermined amount of fantasy points. While the ones that are featured have the “star” logo, the biggest prize pools, and the largest payouts. This week’s article will focus on the $20 NFL Week 4 $3K Guaranteed Contest highlighting 10 props to target. This a contest that allows you to pick 10 out of 20 options. The less probable the prop is to occur, the more points you receive if you choose correctly. Players must be on the field for at least one snap to qualify. Let’s dive into all of the player props. Watson has averaged 290.3 passing yards per game entering Week 4. The Colts defense is allowing 241.7 passing yards and 106 rushing yards per game. Watson can be viewed as a top-five quarterback option against the Colts. My recommendation is to take the over on this player prop. 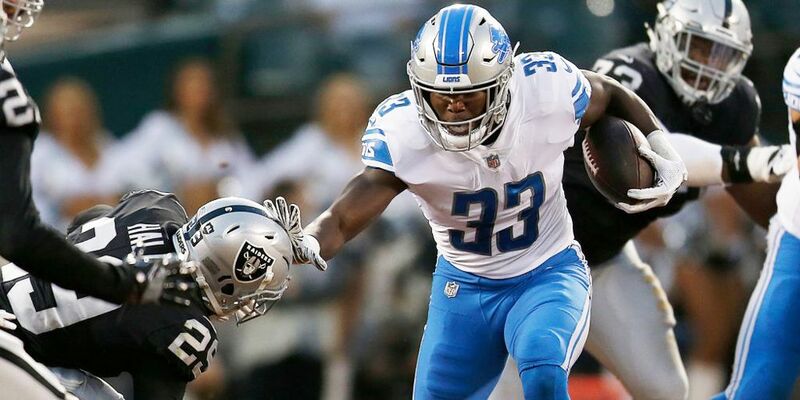 Johnson is the first Lions running back to run for 100 yards or more since Reggie Bush in 2013. He had 16 carries for 101 rushing yards in the team’s win against the Patriots. Johnson played 44.6 percent of the offensive snaps and this performance could be his first step in truly separating himself from LeGarrette Blount. He faces a Cowboys defense in Week 4 that is allowing 98.3 yards per game. My recommendation is to take the over on this player prop. Adams is currently averaging 6.7 receptions per game entering Week 4. He has only averaged five receptions per game from 2015 to 2017. Adams has played 98.1 percent of the offensive snaps this season and is averaging 9.6 targets per game. The Bills defense is allowing nearly 30 passing completions per game. My recommendation is to take the over on this player prop. Evans is currently averaging one touchdown per game this season while averaging 0.5 per game since entering the NFL as a rookie back in 2014. He remains a strong WR1 option and a good bet for a touchdown against the Bears defense regardless if Ryan Fitzpatrick or Jameis Winston is under center. Howard is currently averaging 85.3 total yards per game this season. Success or failure for the entire Bears offense comes down to the play of quarterback Mitch Trubisky. The Buccaneers defense has been more vulnerable through the air this season allowing 362.7 yards per game. The matchup between the Bears and Buccaneers does have the potential to become a shootout and go over its projected 46.5 point total. My recommendation is to take the under on this player prop. Brady has averaged 0.49 interceptions per game over his last 76 games. Did you know that he has averaged 0.78 per game in 31 career games against the Dolphins? The undefeated AFC East-leading Dolphins can have a stranglehold on the division with a victory. The team has lost nine straight games in Foxborough by an average of 18.4 points per game. This game has the makings of a shootout given the projected point total and I believe it will go over. My recommendation is to take the over on this player prop. Williams was phenomenal against the Rams last week with seven targets, four receptions, 81 receiving yards, and two touchdowns. He played 61.8 percent of the offensive snaps and could see a similar or higher percentage this week against the 49ers. Chargers wide receivers Keenan Allen and Travis Benjamin are genuinely questionable heading into the matchup. If one of them misses the game then this would result in additional targets for Williams. My recommendation is to take the over on this player prop. Barkley has an excellent matchup against a Saints defense (421) allowing the third most total yards per game. He has accumulated 100 or more total yards in three straight games and has played a high number of snaps. He has played 71 percent of the snaps this season and has touched the football or been targeted on 50 percent of them. The matchup between the Giants and Saints has a projected point total of 50.5. These two teams have hit the over in four of their last five matchups with an average combined score of 71. My recommendation is to the take the over on this prop. 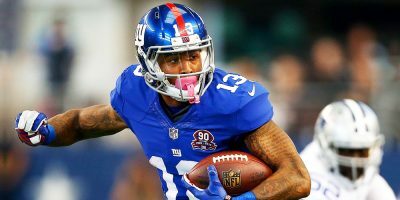 The injury to tight end Evan Engram will allow Beckham to see a rise in target share. He has averaged 0.8 receiving touchdowns per game over his last 50 games. Beckham has the potential in a matchup against the Saints defense to finish as the top fantasy wide receiver in Week 4. My recommendation is to take the over on this player prop. 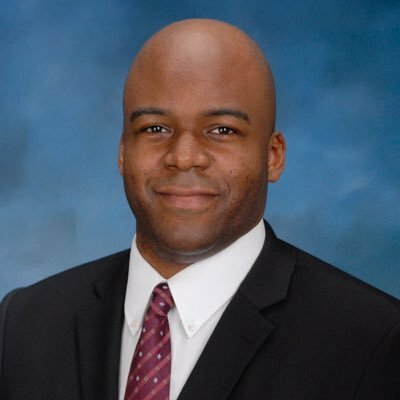 Brown has only averaged 14 targets and 70 receiving yards per game this season. The Steelers face the Ravens on Sunday Night Football. Did you know that the Steelers are currently on a thirteen game win streak in prime time games? The team has won all of those game by an averaged combined score of nearly 12 points. Brown has averaged 101.3 receiving yards per game in 77 career games from 2013 to 2017. I believe his stat line at the end of this game will be more in line with those averages. As a gentle reminder, Brown went bonkers against the Ravens last December with 11 receptions for 213 receiving yards. My recommendation is to take the over on this prop. 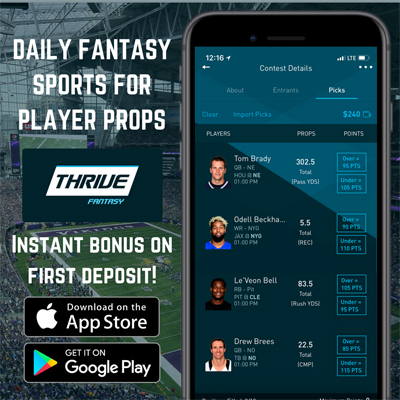 You have a compelling case for each of the player props in ThriveFantasy’s Week 4 Featured Traditional Contest. Which ones will you choose? Do you agree or disagree? What did you find most useful? Please leave a comment below or better yet reach out via Twitter @EricNMoody. Until next time!